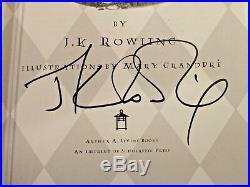 Harry Potter and the Sorcerer's Stone Signed by J. Rowling; illustrations by Mary GrandPre. 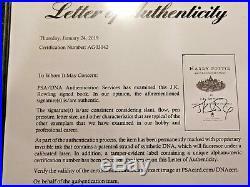 Comes with PSA Letter of Authenticity. 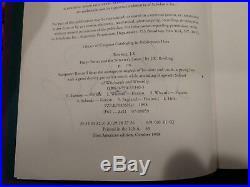 309 pages ; illustrations ; 24 cm. 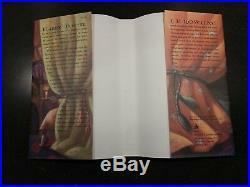 Early printing copy with original unclipped price dust jacket, clean unmarked pages, and square binding. 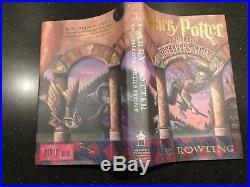 The Dust Jacket is in Excellent Condition. 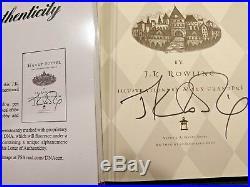 The cover of the book itself has a couple of small, minor scuffs. 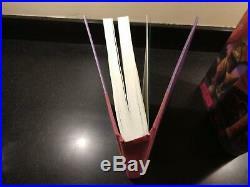 The book block internals are clean and binding is in great condition. 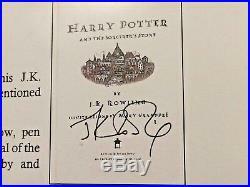 As part of the authentication process, the book has been permanently marked with proprietary invisible ink that contains a patented strand of synthetic DNA, which will fluoresce under a calibrated laser. In addition, a tamper-evident label containing a unique alphanumeric certification number has been placed on the item. 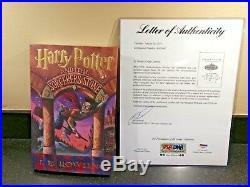 The item "Harry Potter and the Sorcerer's Stone Signed First Edition With COA" is in sale since Friday, February 1, 2019. 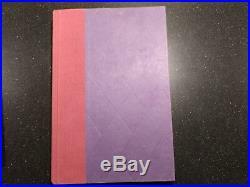 This item is in the category "Books\Textbooks, Education". 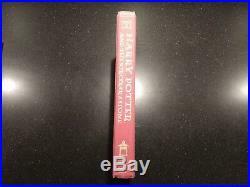 The seller is "qtopia_collectibles" and is located in Saint Charles, Illinois. This item can be shipped to United States, United Kingdom, Denmark, Romania, Slovakia, Bulgaria, Czech republic, Finland, Hungary, Latvia, Lithuania, Malta, Estonia, Australia, Greece, Portugal, Cyprus, Slovenia, Japan, Sweden, South Korea, Indonesia, Thailand, Belgium, France, Hong Kong, Ireland, Netherlands, Poland, Spain, Italy, Germany, Austria, Bahamas, Israel, Mexico, New Zealand, Singapore, Switzerland, Norway, Saudi arabia, Ukraine, United arab emirates, Qatar, Bahrain, Croatia, Malaysia, Panama, Jamaica, Uruguay, China, Kuwait, Colombia, Barbados, Bangladesh, Bermuda, Brunei darussalam, Bolivia, French guiana, Gibraltar, Guadeloupe, Jordan, Cambodia, Cayman islands, Liechtenstein, Sri lanka, Luxembourg, Monaco, Macao, Martinique, Maldives, Nicaragua, Oman, Paraguay, Reunion.